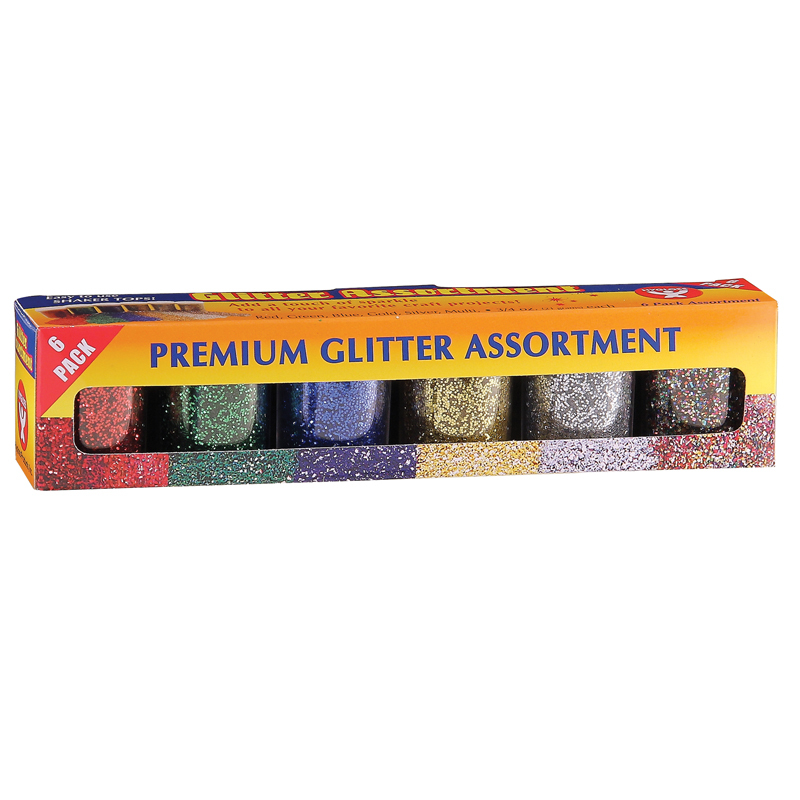 Vibrant colors in sparkling high quality glitter can be used with virtually any craft project. This traditional medium is used by young and old crafters for both simple and complex craft and hobby projects. 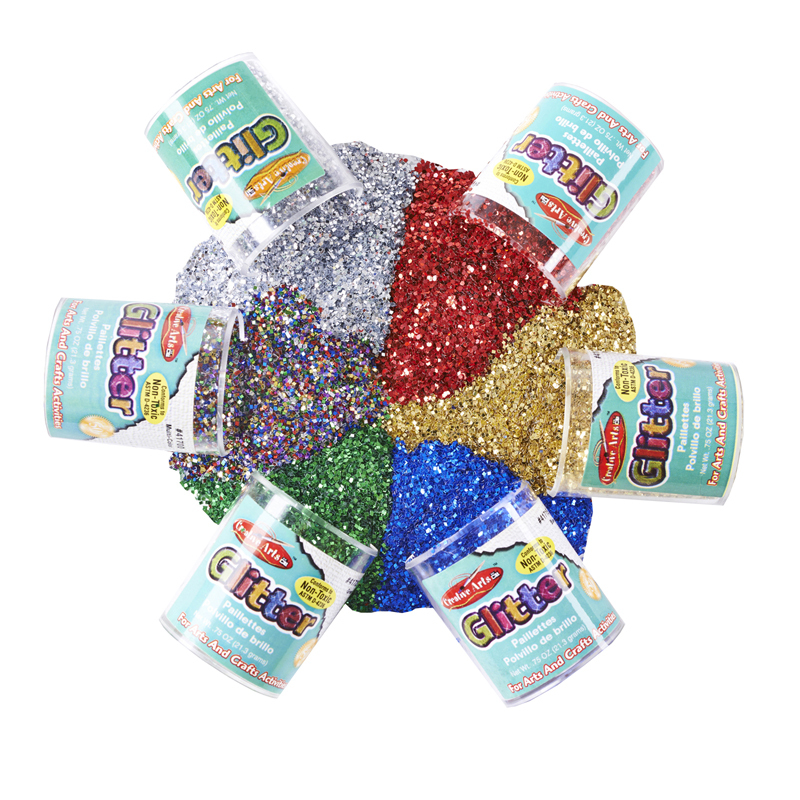 Each pack includes 6 jars (3/4 ounce each) of glitter in assorted colors: Red, Green, Blue, Gold, Silver, and Multi-Colored. Sold as 3 packs for a total of 18 jars of glitter. 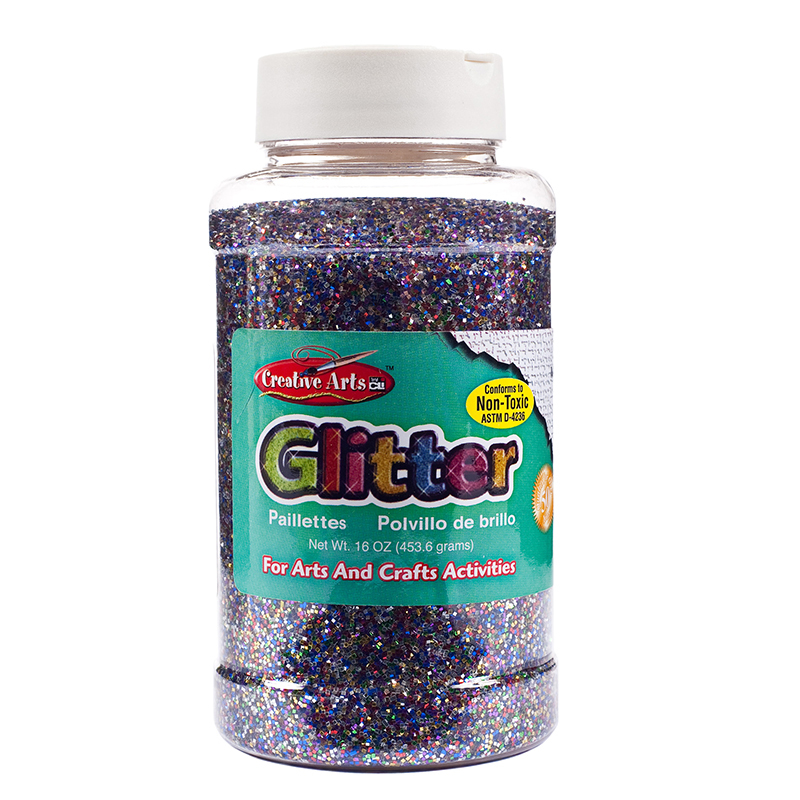 The (3 Pk) Glitter 3/4 Oz - 6 Per Pk can be found in our Glitter product category within the Arts & Crafts.